Welcome to Module 2 of Get Clear, Get Clients: Your Clients’ Words! This module is all about helping you connect with your ideal clients. It’s meant to get out of your own head so you can start understanding what your clients really need from you. It’s a biggie and a step that a lot of coaches skip over when creating their offerings. If you can’t see the video player, click here. Click here to download the “Your Clients’ Words” handout (fill it out as you do the workshop). 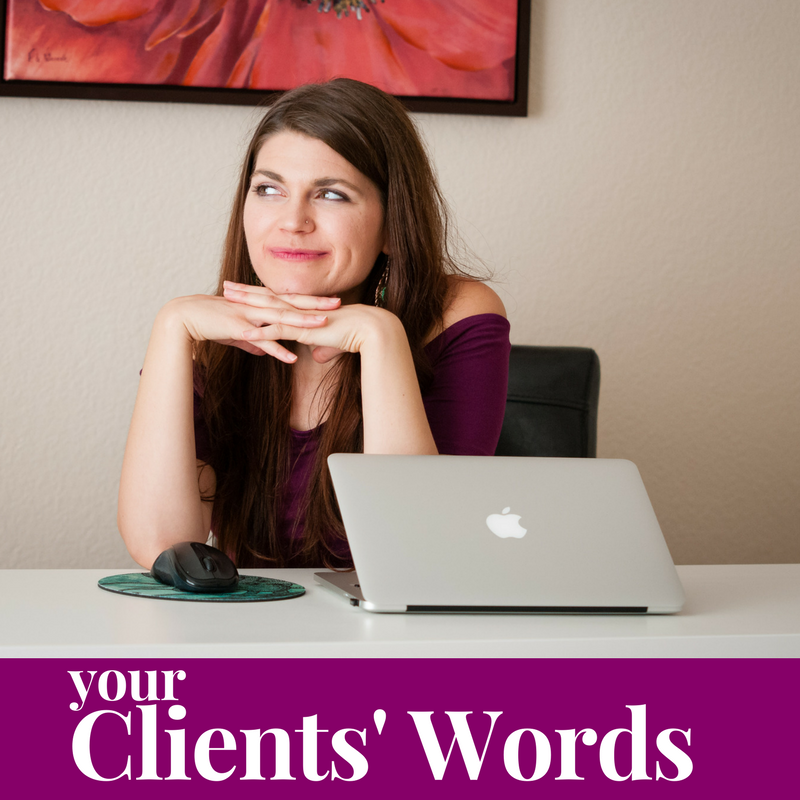 Click here to download the printable “Your Clients’ Words” handout (fill it out as you do the workshop).